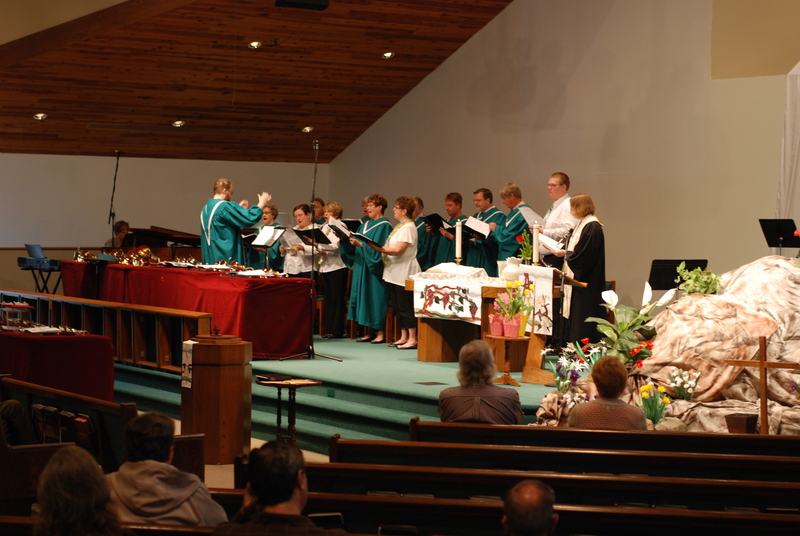 The choir meets every other Wednesday at 6:30 pm for rehearsal in the sanctuary. 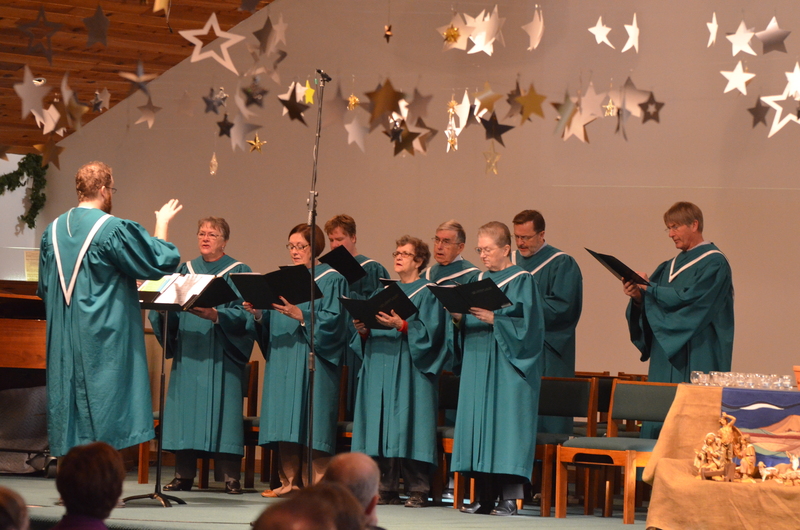 The choir is a family of individuals sharing their passion for God and for music with each other and with the larger body of the church. 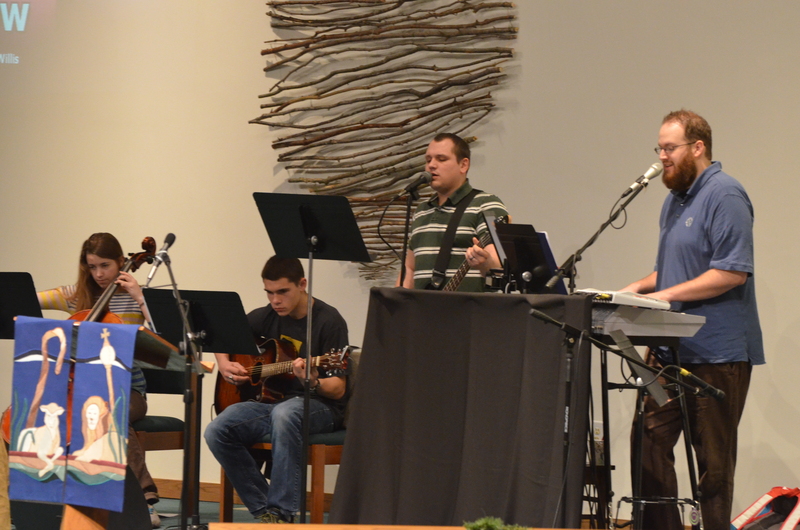 We have a wonderful time each rehearsal singing, worshiping and praying together. 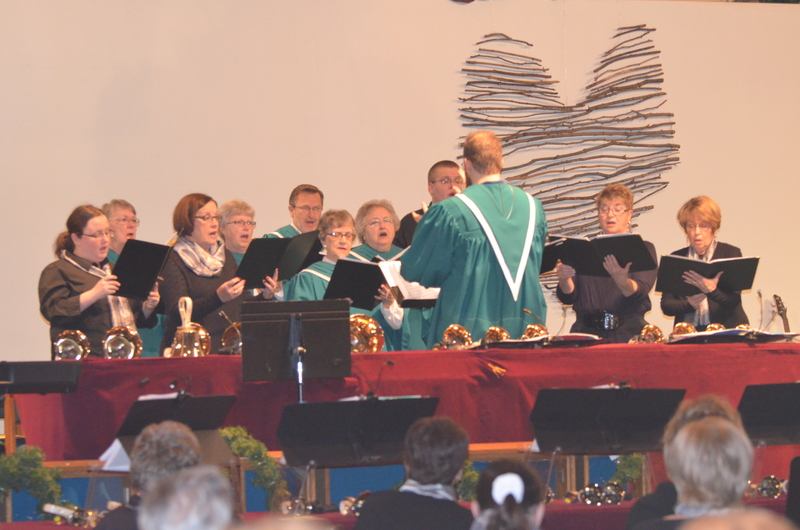 New voices are always welcome! 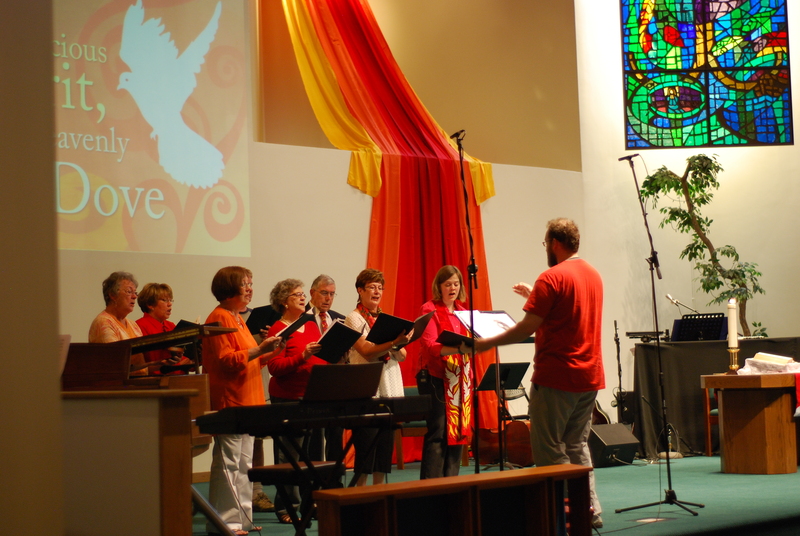 If God has gifted you with a talent for singing you are welcomed and invited to join your voice with ours in praise of our great God! Contact the office at 231-798-2181 for more info. 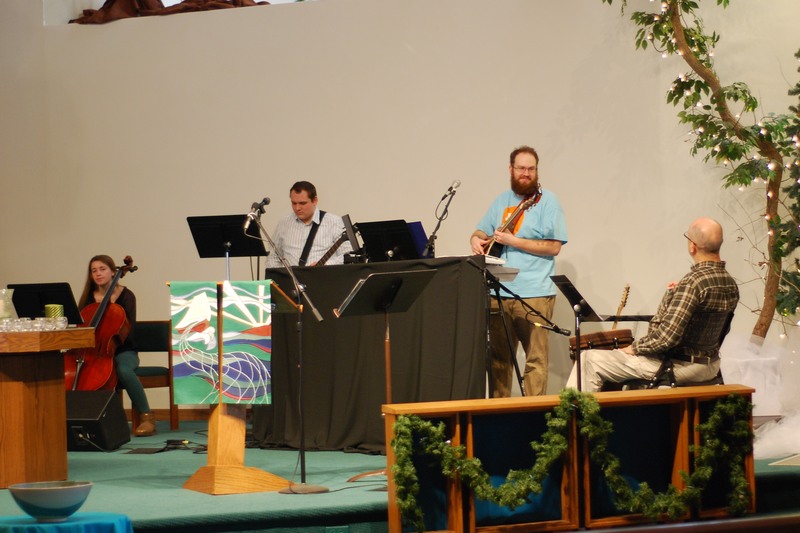 Praise Band plays each Sunday during the Celebration worship service! 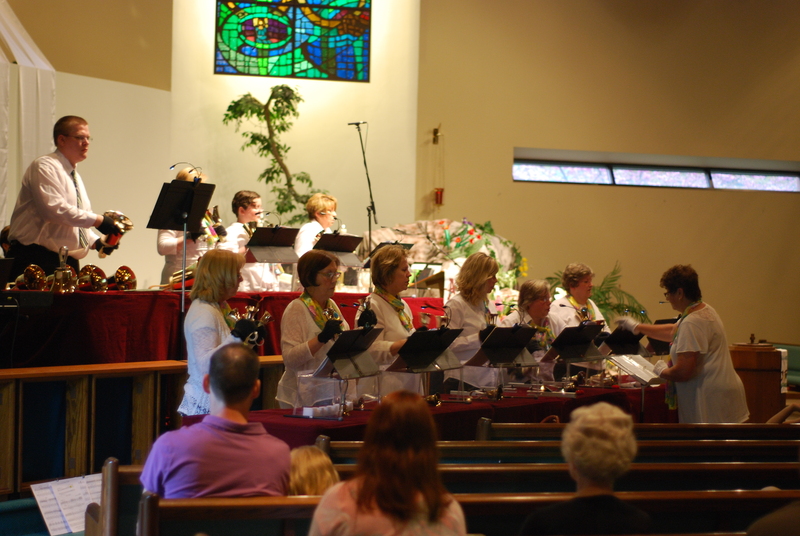 We meet each Saturday morning at 10am in the sanctuary for rehearsal. 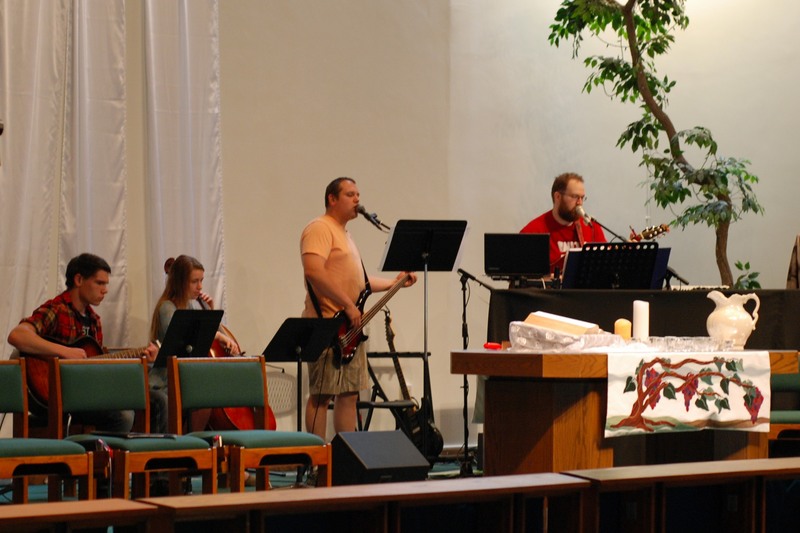 We seek to be lead worshipers; to create an environment for worship that allows everyone to experience the presence of God. 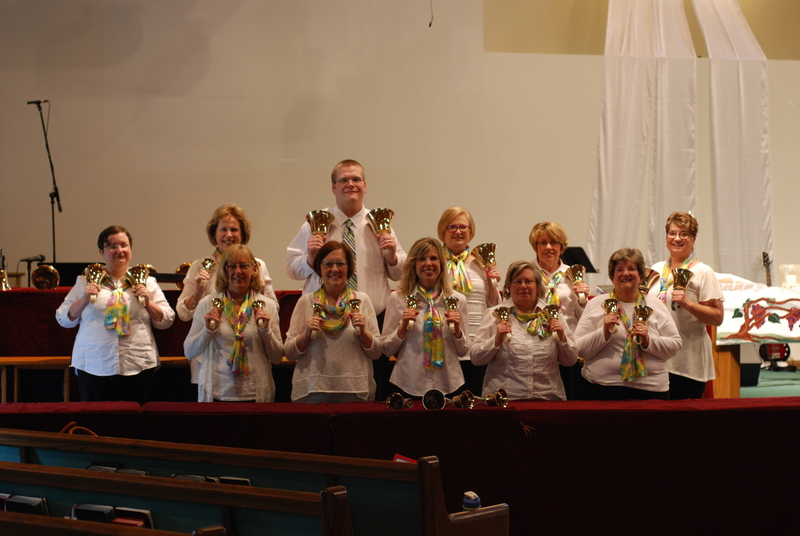 Handbells rehearses each Sunday at 6pm in the bell room downstairs. 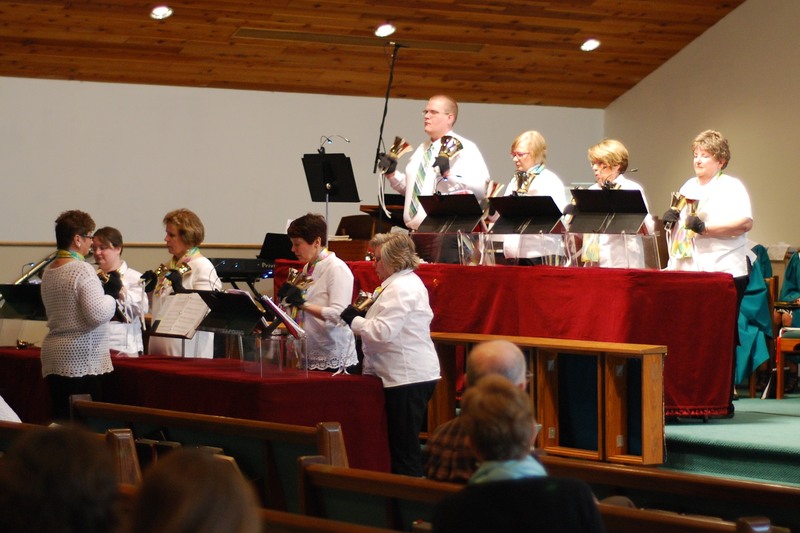 Handbells presents a unique musical experience and another opportunity to use your gifts and talents to minister to your church family through the gift of music. Anyone interested is welcome to come and join!